For 2016 We decided to cut way down on the messy driftwood and introduce beach glass sculptures as our primary medium. 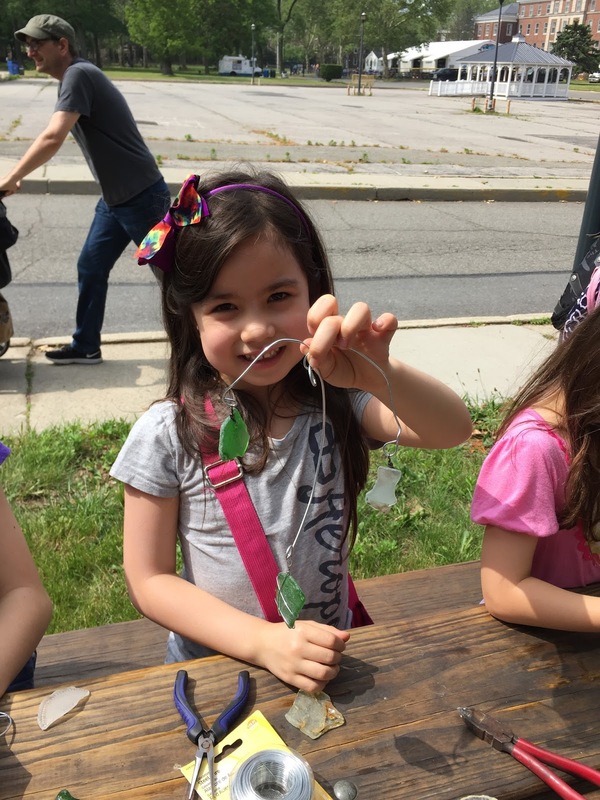 Most folks, especially kids made jewelry that they took with them by wearing it. We did struggle to find a good way to glue fasteners to the glass, and it was impossible to drill through it, but wrapping wire worked really well. We had a great day on Saturday, but the forecast for Sunday was awful heavy wind and rain so it was a one-day only event for us.